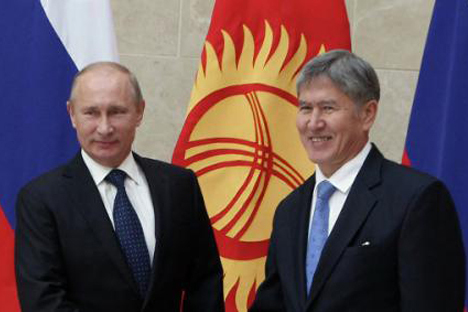 The Russian President’s recent diplomatic initiative in Kyrgyzstan is a fine example of what Moscow needs to do to cement its regional leadership role in Central Asia. The joint proposal by Russia and Kyrgyzstan to invite Kazakhstan and Uzbekistan to participate in the hydroelectric projects in Kyrgyzstan marks an important regional initiative with profound implications for the security of Central Asia. No doubt, the initiative carries the imprimatur of Russian President Vladimir Putin. The proposal was disclosed after Putin’s visit to Bishkek on Thursday. He offered that Kazakhstan and Uzbekistan could also have partake of the management of the companies that are to be formed within the ambit of the Russian-Kyrgyz joint projects on the construction of the Kambarata HPP and Upper-Narinsik cascade of HPPs that Moscow will assist Bishkek to undertake. Reports mention that Moscow may hold majority shares in the relevant companies and Russia will operate these projects upon their completion. This is platinum grade regional diplomacy by Putin. It is the sort of regional matrix that Moscow needs to develop, for cementing its regional leadership role in Central Asia. Evidently, much quiet diplomacy has gone into this Russian initiative. Kazakhstan is Russia’s close ally and Moscow would have certainly sensitized Astana beforehand about what had in mind. In fact, Putin met Kazakh President Nurusultan Nazarbayev on Wednesday in Pavoldar last Wednesday en route to Bishkek. Again last week, Uzbek President Islam Karimov also visited Astana last week. Unsurprisingly, a senior Russian leader recently described Astana as the “engine of Eurasian integration.” The Russian-Kazakh strategic understanding is at a high level at the moment and it is helping Moscow’s regional policies as a whole. To be sure, Washington has been caught on the wrong foot. Ironically, Washington had fancied that the electricity produced in the Kyrgyz HPPs would someday light up their New Silk Road. It now seems that Russia would be managing the HPPs and would have a New Silk Road of its own leading to Afghanistan and Pakistan. The inter-regional water disputes among the Central Asian countries provided a readymade cesspool of discord for the US to dip into and incessantly slur Russia’s efforts at regional integration. Even as recently as early this week, a prominent US expert Stephen Blank highlighted the water disputes in Central Asia as posing hurdles to regional integration. The hostile tone of Blank’s commentary underscores that the thrust of the US regional policies in Central Asia is aimed at rolling back Russian influence in the region. Obviously, Kazakhstan and Uzbekistan have legitimate concerns over the construction of dams on the upstream of the Syr Darya and Amu Darya, which are so vital for their economies. At the same time, Kyrgyzstan and Tajikistan view the HPPs such as Kambarata and Rogun as holding the key to their development. This contradiction greatly complicated the Russian diplomacy aimed at regional integration in recent years. Putin’s formula probably offers a lasting solution. Although, ultimately, there has to be a willingness on the part of the Central Asian states themselves to cooperate – and Russia can only be a facilitator in this process – so that extra-regional powers do not fish in the troubled waters in terms of their geopolitical agenda. The Central Asian leaders are astute enough to size up the complexities of the Great Game in their region. Indeed, equally, what has often been lacking is the regional role that Russia is capable of playing. A visit by Putin to Dushanbe is also on the cards.